One of the most powerful insights I obtained from writing Defining Creativity is that our unconscious mind is in many ways superior to our conscious mind. One of the reasons is that our unconscious mind is responsible for producing the great insights that we experience as ‘aha’ moments. And what’s fascinating about this is that while our unconscious brain constantly and rapidly produces ideas, it only forwards the really interesting ones to our conscious. So, how does it separate the good ideas from the bad ones? Our unconscious recognises ideas with real potential through something that is called ‘aesthetic sensibility,’ a term that was coined by the French mathematician, scientist, and philosopher Henri Poincaré in the beginning of the 20th century. Here’s a visual trick that proofs this point; we see a triangle in the image below, because our brain connects the different elements and completes what is not there. So, when you zoom in the chaos around us, you will often find fractal symmetries. 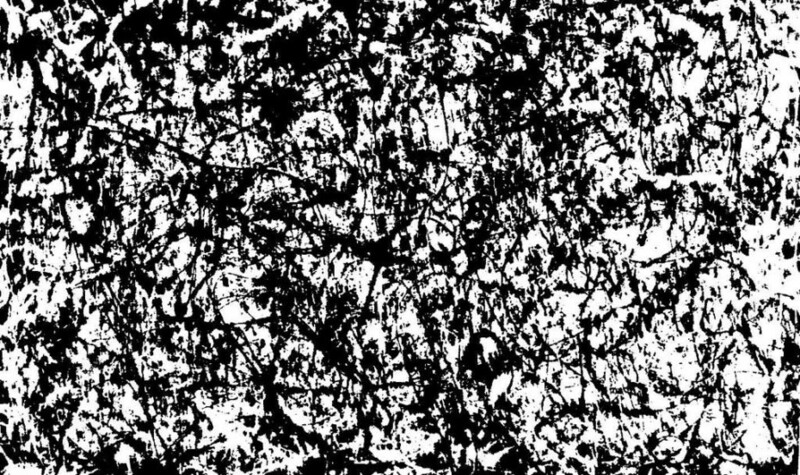 And I was surprised to learn that even in the most quintessential example of artistic chaos, the paintings of Jackson Pollock, you will find fractal patterns. May quotes research that proofs that when you zoom in on Pollock’s paintings, the same patterns occur over and over again, very similar to what happens when you zoom in on, for example, the branches of a tree. 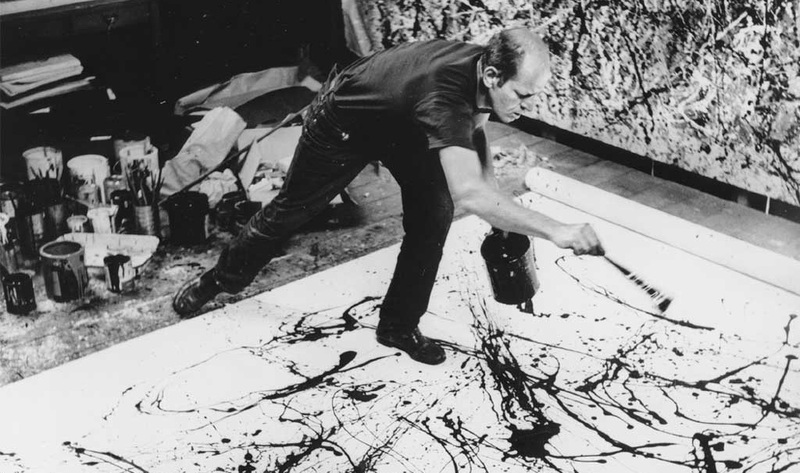 I also describe Pollock’s work in my book (page 54), but ironically only to argue that his style of painting (violently dripping paint on a canvas on the floor, in a seemingly random, chaotic way) helped him to sell it – his action painting ‘performances’ made his work more interesting for his audience. Though Pollock undeniably mastered a special, innovative skill and his works even sold very well, many art critics didn’t take him seriously. They saw him as “Jack the Dripper,” not as a refined painter with a vision. Which shows that in art aesthetics alone are not enough. In fact, in contemporary art it’s probably easier to sell your work with a conceptually strong story than with merely an appealing look. As I write in my book: “When Duchamp put a urinal upside down, it earned a prominent place in the history of art because it was conceptually groundbreaking, not for being beautiful” – page 104. It once more shows that the attractiveness of creativity is not about ‘beauty’ in the narrow sense of the word. 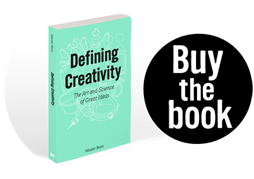 In my opinion Immanuel Kant – to whom I also refer on page 104 of my book – had the best definition of beauty when it comes to explaining creativity. Kant said that ultimate beauty is found in “truth and order.” What I like about these two terms is that they – just like symmetry – include any creative idea, regardless whether coming from an artist or scientist. Creative ideas trigger our ‘aesthetic sensibility’ because they convey a fundamental truth (about the way the world works or should work) and/or some kind of order – or symmetry, in May’s words. And now, through writing this article, I for the first time realise that Kant’s ‘truth’ and ‘order’ actually divide beauty into a conscious and unconscious form. It is the order (or “harmony” in Poincaré’s words) of a knowledge structure or visual pattern that unconsciously arouses our senses, while it is the truth in the story behind it that consciously persuades us to believe and even rationally feel attracted to it.